Every November and December, the experts at Butterball’s Turkey Talk-Line field millions of calls from home cooks trying to avoid turkey-related kitchen disasters. 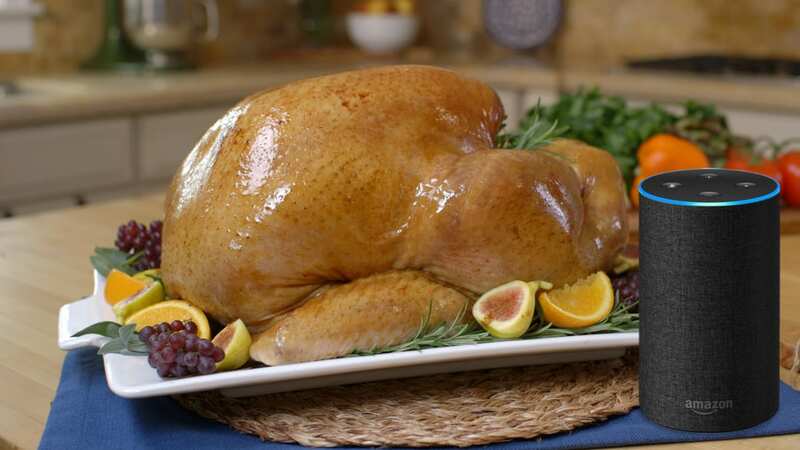 They coach callers (and texters, emailers, Facebook messengers, and Instagrammers) on all aspects of turkey prep, from how to thaw a giant bird to what temperature the oven should be to what to do if disaster strikes and the only place to cook your turkey is in the microwave. This year, you don’t need to wait on hold or send frantic texts to Butterball. Just ask Alexa, who’s probably already in your kitchen with you. Unless you have a truly out-there question, chances are the turkey pros at Butterball have heard it before. Alexa is well-equipped to field common inquiries that strike home cooks each year, like “What is the bag inside my turkey?” In fact, you’re probably better off turning to the Alexa skill than trying to call the live hotline, since you won’t have to wait for an expert to be available to get what is likely the same information. Alexa is always available. And when you're trying to get turkey on the table for that early-evening Thanksgiving meal, time is of the essence. And remember, turkey isn’t just for Thanksgiving—Butterball’s hotline is open all through December, too. There are a few other Alexa skills designed to help you make the most out of your smart home device during the holiday season. Turkey Planner will help you calculate how long your turkey will take to cook based on its size. There are also numerous Thanksgiving Facts skills designed to serve up bites of holiday-related trivia. For more kitchen help this holiday season, considering calling these other food hotlines, which can guide you through making everything from cranberry sauce to pie.